Unsurprisingly, BDS advocates don’t like it much when others object to their relentless demonization of Israel and they quickly resort to complaints that they are being intimidated and that their freedom of speech is being restricted – though it would arguably be more honest if they simply claimed a right to protected hate speech. Moreover, it has been clear for some time that BDS advocates themselves don’t think that people who don’t share their views should have a right to free speech. One of the most recent examples of BDS bullies trying to deny a pro-Israel speaker his freedom of speech was recorded and received relatively wide attention, because the speaker who was attacked – Fathom editor Alan Johnson – and others wrote about it. Johnson’s two commentaries on the incident provide several concise and analytically sharp observations on some crucial points everyone should understand about BDS and the related anti-Israel activism. “The real culprits are the anti-Israel intellectuals who are driving those students mad. They tell the students that Zionism is racism, while its creation, Israel, has ‘ethnically cleansed’ the Arabs, built an ‘apartheid state’ and is now carrying out a slow ‘genocide’ in Gaza. Stuff a young idealist’s head with that kind of rubbish and do not be surprised if the result is hatred and thuggery. It is indeed a revealing fact that at western universities, the world’s only Jewish state – which happens to be the most democratic, liberal and pluralistic state in the Middle East – is the only state whose abolition is regularly advocated by professors and students with great passion. Anyone who suspects that this is at least partly due to antisemitism will be immediately denounced as someone who is trying to stifle debate. But as far as BDS supporters are concerned, there is actually nothing to debate: all the leading BDS advocates are adamant that anything short of Israel’s elimination as a Jewish state will not really provide “justice” for the Palestinians. And this is also why a prominent BDS advocate like Judith Butler insists that Israeli universities must be boycotted, while she would have no problem to lecture at a Palestinian university that has a well-earned reputation for fostering extremism and allowing the glorification of terrorism. Update: Since this is a belated cross-post – first published on my JPost blog in mid-March – I would like to add that in the past two months, developments on some American campuses have been bad enough to attract much attention, even in the mainstream press. 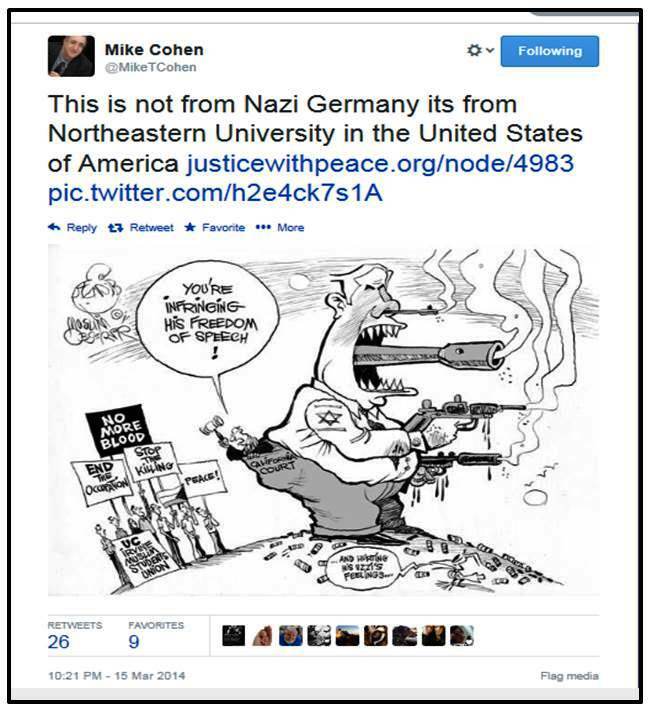 Some of the most dismal incidents are highlighted in Professor Jacobson’s post “Vassar Nazi cartoon reflects campus dehumanization of Israel.” I have also written some related posts published at The Louis D. Brandeis Center. 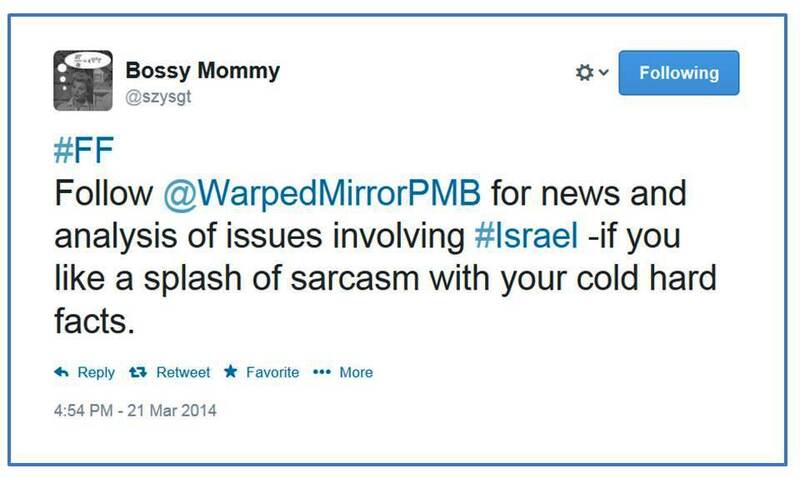 This entry was posted in JPost and tagged antisemitism, BDS, Israel, Judith Butler, pro-Palestinian. Bookmark the permalink. Petra, you might like to look at Paul Iganski & Barry Kosmin (eds) “The New Antisemitism: debating Judeophobia in Greta Britain”. I read this back before I retired, so that the original publication is some 10+ years ago. Just shows that this scenario has been around for far too long! Thanks, Brian — will have a look!